HTML stands for hyper-text-markup-language and this is what many web sites are made with. In the early days of the Internet almost all web sites were made in HTML. HTML sites are static, which means you can't simply edit the page on the fly without at least some knowledge of coding. The good news is without functionality there's not a lot of special coding required and without excess coding it's easy on the wallet. An average 3 page HTML web site will cost you around $600 + GST. 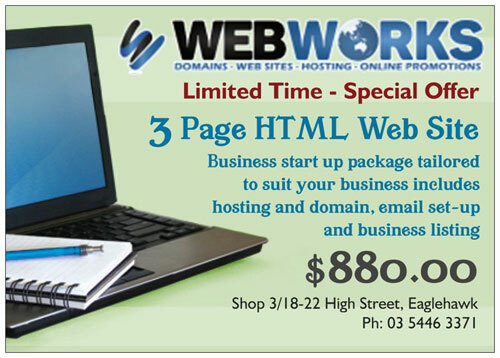 We currently have a special that includes a domain name and 12 months web hosting for only $800 + GST.